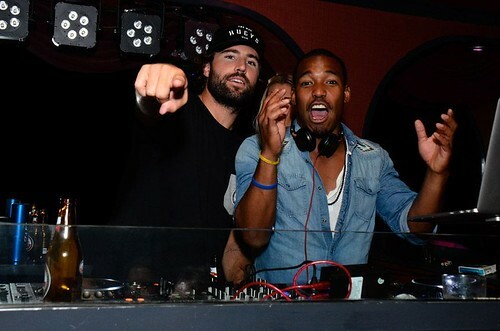 Television personality, model and handsome son of Olympic athlete Bruce Jenner,Â Brody Jenner and his pal William Lifestyle were guest DJs at DC’s popular nightlife destination, The Huxley last Friday evening. You may recognize Jenner from MTV’s The Hills and more recently Keeping up with the Kardashions on E!, and yes, we mentioned his famous father, Bruce,Â 1976 Summer Olympics decathlon champion, who is also currently married to Kris Jenner, mother/manager of the Kardashian klan. What many people donâ€™t know is that he is also a musician and DJ. Jenner has been appearing at venues across the country with LA-based DJ William Lifestyle, who has quickly risen to become one the cityâ€™s top choice performers. Currently holding residencies at Hollywood hotpots, Bootsy Bellows and Hooray Henryâ€™s, the young DJ has mastered the art of nightlife and celebrity entertainment. 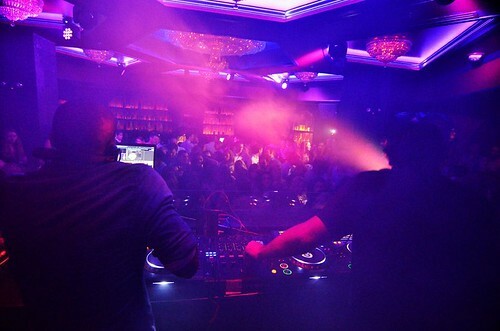 Jenner arrived at the sold out venue at midnight and DJâ€™d from 12:30am â€“ 3am. Prior to hitting the DJ booth he spotted the Huxleyâ€™s resident Bongo player Robert Powell and surprising guests, began an impromptu bongo session. Getting the crowd caroused with the bongos was nothing new to Jenner, as he grew up playing the drums. Owners Eric Lund and Ryan Seelbach who spent most of the evening with Jenner said, â€œThey played a great DJ set, we will definitely have them back at The Huxley soon.â€ Jenner departed DC on Saturday to continue on his DJ tour. Next Happy 3 Years to Fiola!